Your friend is a pyrographer who always gives you thoughtful handmade monogrammed gifts. You want to return the favor and get them a special wood burning gift specific to their craft, but you just don’t know where to start. Don’t fret. We’ve got you covered. 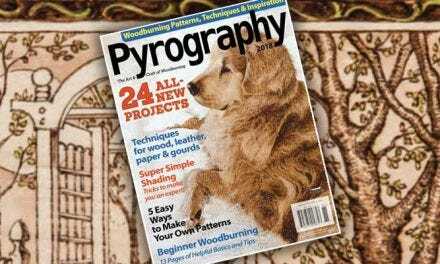 Every level of pyrographer needs a copy or two of the special edition Pyrography Magazine. 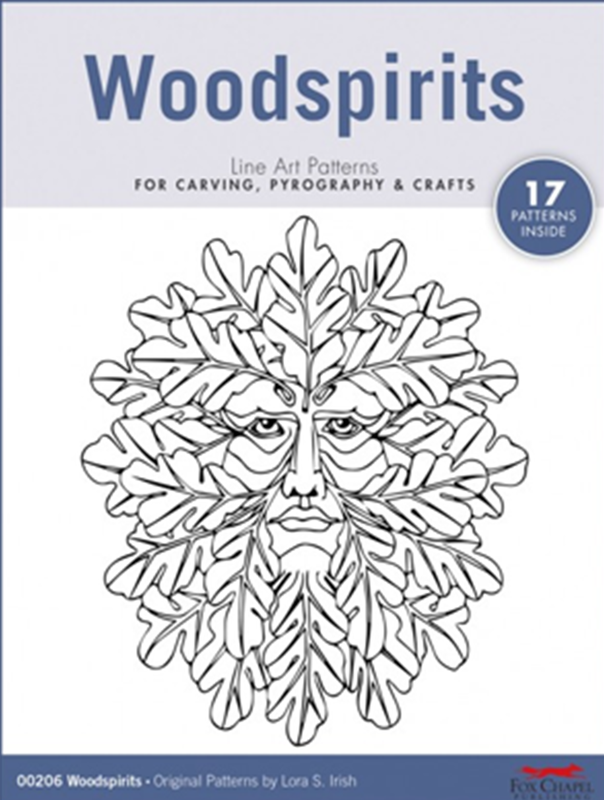 Inside you will find a wealth of woodburning knowledge from industry leading pyrographers on techniques, burning surfaces, tool reviews, and pyrography patterns. Any wood burner has undoubtedly had a need for printed patterns. With 10 themed-pattern packets, these gifts are great for intermediate to advanced pyrographers. 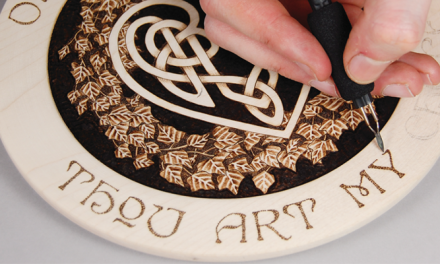 Whether your giftee is learning how to woodburn or an expert at pyrography, this tool is easy for anyone to use. This precision wood burning tool features a stand-alone temperature control unit with a slim, ergonomic hand tool and a convenient stand. 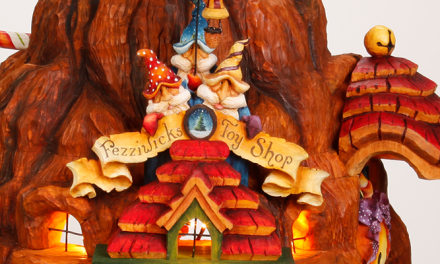 The Creative Woodburner can create precise detail, fine lines, variable textures, and beautiful coloration. In a hardcover gift edition size, the Little Book of Pyrography makes a great stocking stuffer. Whether your friend is a beginner or expert, this book will help them refine their techniques for patterns and textures, practice boards, tonal values, and everything in between. 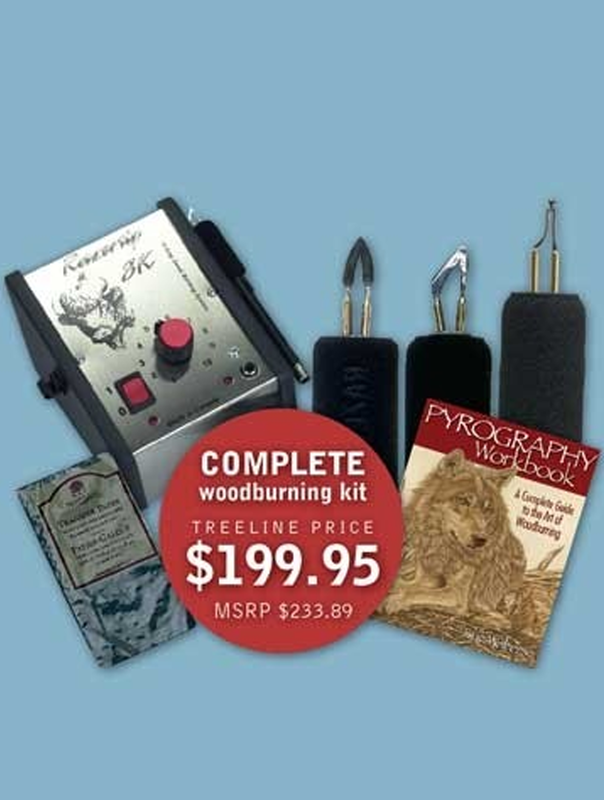 This comprehensive pyrography kit has everything your friend needs to get started! 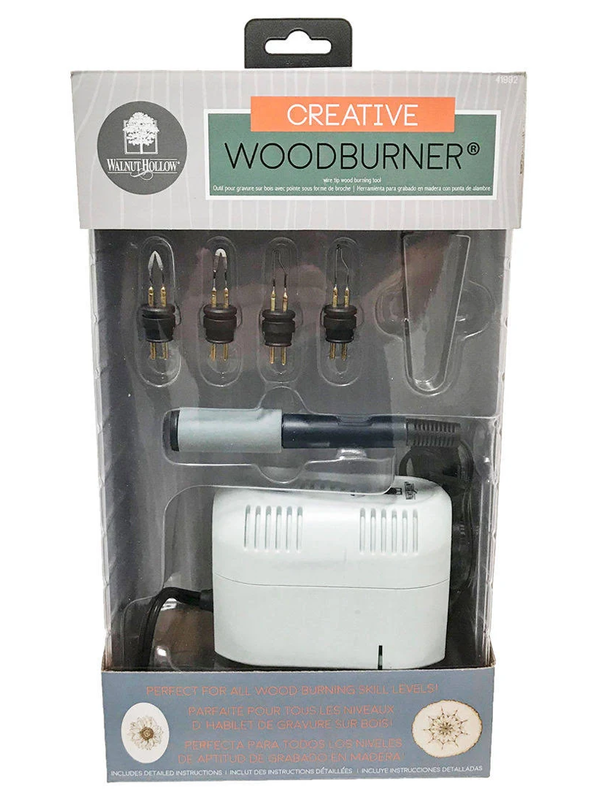 The kit comes with the top-of-the-line Razertip Single Burner, 3 of the most commonly used burning pens, the most complete “how-to” wood burning book, and some graphite transfer paper. 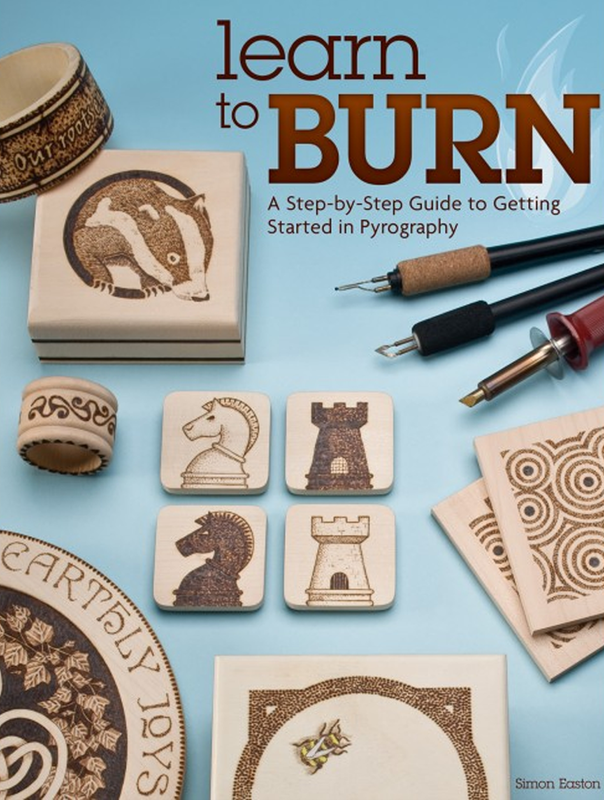 Just as the title of this book says, this is a comprehensive handbook to learning the art of pyrography. 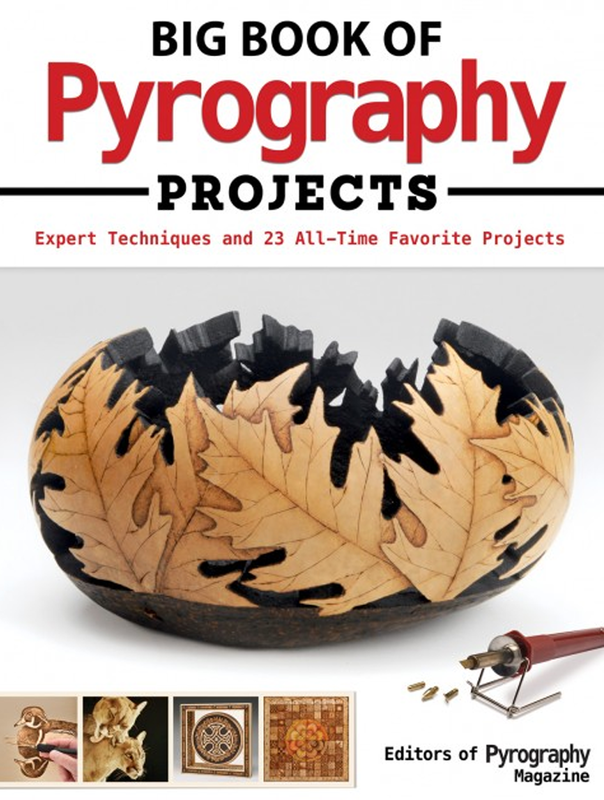 Whether it’s your pyrographers first time burning or they have years under their belt, this guide filled with 14 modern projects is a good reference to have on hand. This technique will open new possibilities. Pyrographer Sue Walters demonstrates the wood burning technique of engraving through burned wood to expose the natural wood color. 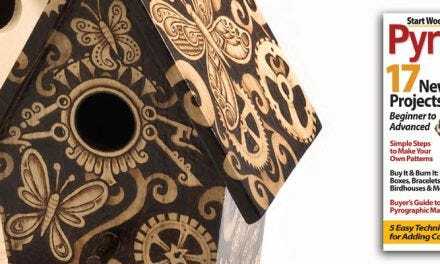 From realistic portraits to whimsical landscape scenes, this big book has 23 projects to keep your innovative woodburner busy on flat wood slices to 3D birdhouses. 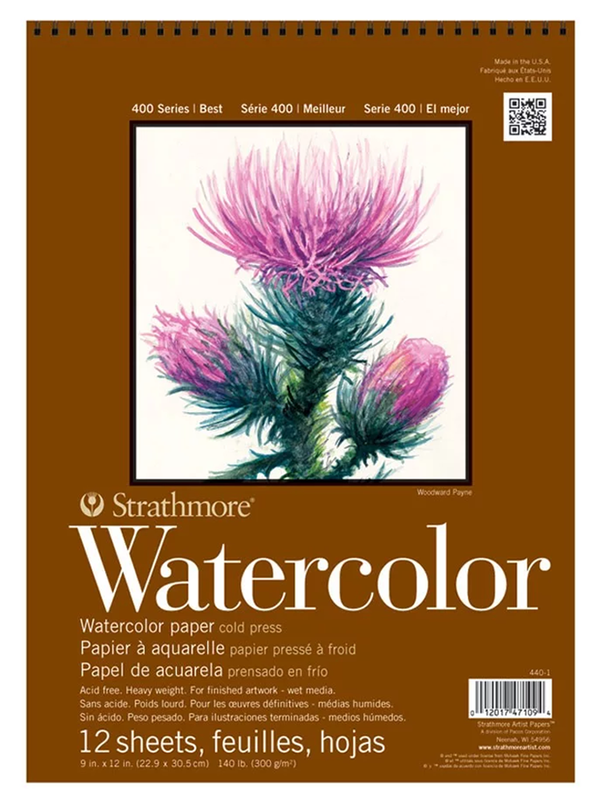 Watercolor paper is thick, has a slight texture, and is easy to burn, making it a favorite surface for pyrographers. Strathmore’s 400 series is a good intermediate grade 140lb. cold-press variety. It’s reasonably priced and widely available at art and craft stores. 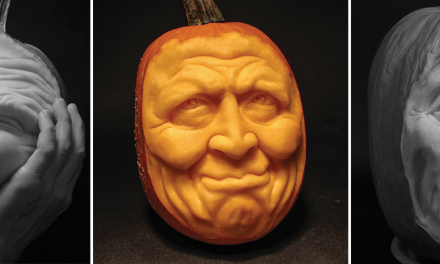 This product was featured in 2013 Pyrography Magazine. Fay Helfer combines pyrography with natural pigments to create artwork inspired by nature. Inside Pyrography Volume 5, Fay gives her tips on how to turn nature’s bounty such as turmeric, blueberries, and red cabbage into inexpensive paint. These colored pencils are described as “like having a creamy crayon in a pencil.” they layer smoothly and blend easily, with no wax build-up. 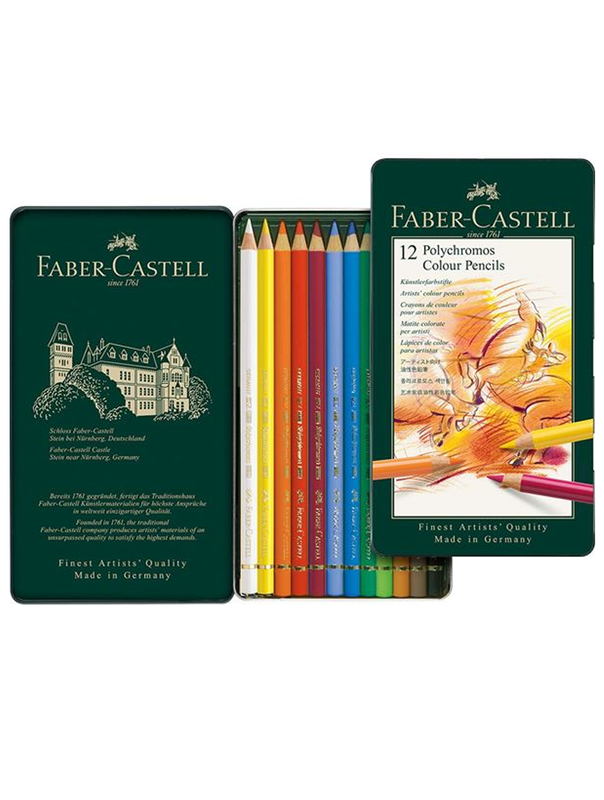 Faber Castell calls the pencils Polychromos; Lyra Rembrandt calls them Polycolor. You can find these at at art and craft stores. 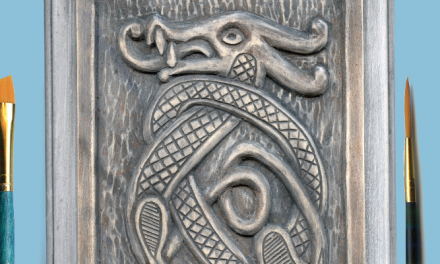 This product was featured in 2013 Pyrography Magazine. 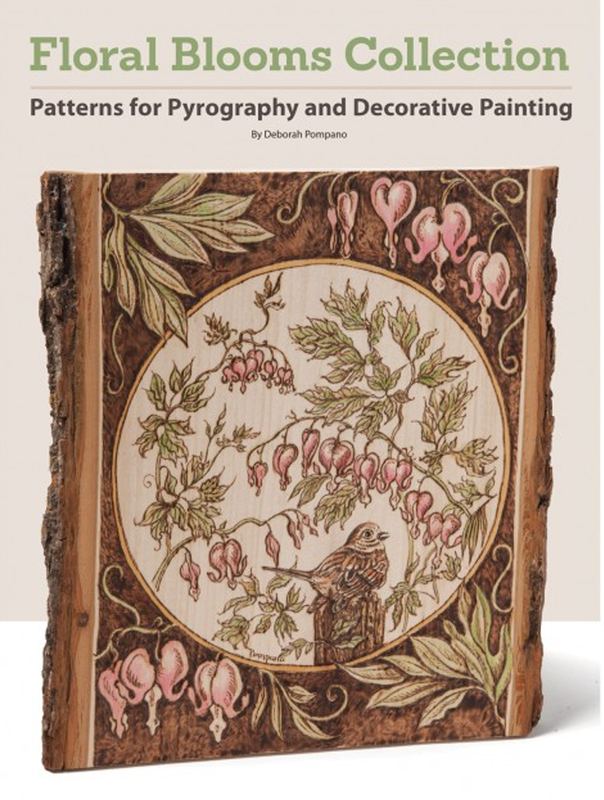 Artist Deborah Pompano’s pyrography patterns are meant to be colored! Her highly detailed scenic floral drawings are presented in both line and color tonal pattern specifically for pyrographers who have a knack for painting or colored pencils. She also has two other pattern booklets in her collection, Majestic Animals and Birds and Animal Landscapes.